2018 will mark a major milestone in the incredible story of Nelson Mandela – his Centenary year. Habitat for Humanity SA in partnership with the Nelson Mandela Foundation and the Department of Human Settlements will be honouring Tata Madiba’s legacy by building 100 homes for 100 families across three provinces this Nelson Mandela Day; namely the Western Cape, Gauteng and KwaZulu Natal. Building the South Africa Nelson Mandela dreamed of is only possible if we come together and raise our hearts, hands and voices to build strength, stability and self-reliance through shelter. It was Mandela’s dream to eradicate poverty in South Africa. 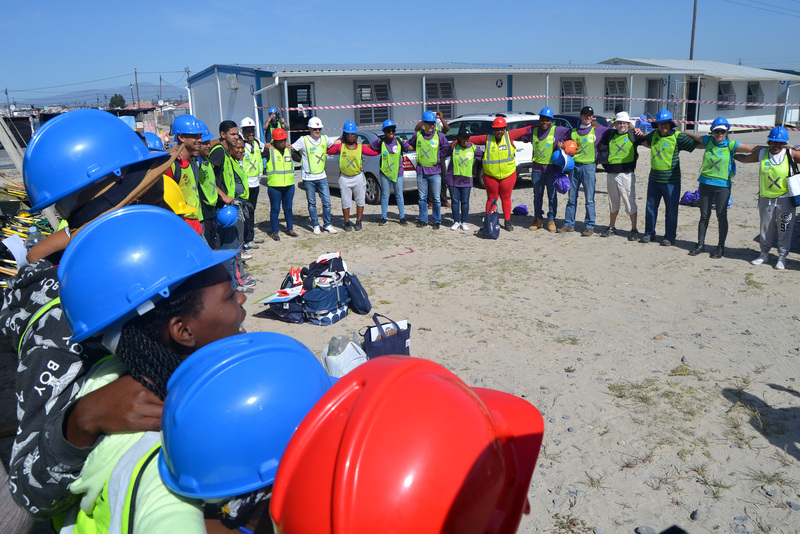 Habitat for Humanity SA believes that the security of a home represents the foundation for low-income South African families to break free from their cycle of poverty. Habitat for Humanity SA’s core business focuses on developing resilience of individuals and communities, especially as it pertains to the improvement of or access to housing. As such, Build Events are crucial catalysts for long-term, real transformation and gives corporate volunteers a very powerful introduction to our work. It fosters greater understanding of shelter, poverty and unemployment issues in the community and builds relationships across all cultural divides. Ordinary citizens feel empowered and hopeful when they become more active in the solutions. The Build event is only part of the story. What evolves after the event is the long-term impact we all hope for. To view our 2018 Build Calendar, please click here.